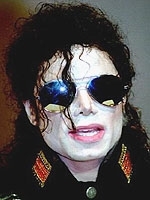 JUNE 16--Michael Jackson agreed to pay $15.3 million to settle child molestation charges leveled against him in 1993 by a California boy, according to a confidential legal agreement. A heavily redacted version of the document can be found here. The January 1994 agreement contains a one-line reference to Jackson delivering "confessions of judgment" totaling $15,331,250 to the boy's attorneys. However, since the entire eight-page section of the agreement titled "Settlement Payment" is not included in the document, it is unclear how the eight-figure payout was distributed to the boy or what his parents were paid. However, a reference to the establishment of a "qualified funding asset" would indicate that an annuity (likely tax free) was a central part of the settlement. As with most confidential deals, Jackson admitted no wrongdoing, noting that the cash was to settle claims for "damages for alleged personal injuries arising out of claims of negligence" and not for "claims of intentional or wrongful acts of sexual molestation." The agreement also states that Jackson elected to settle "in view of the impact the action has had and could have in the future on his earnings and potential income." The settlement was signed four months after the boy and his parents filed a civil suit against the King of Pop and just weeks after the teenager signed a sworn declaration luridly detailing Jackson's alleged abuse. The unredacted portions of the agreement do not address payment of the accuser's legal fees, though a September 1993 retainer agreement between the family and attorney Larry Feldman called for the family to pay their counsel's fee. According to the retainer, Feldman stood to earn $3 million on a $15 million settlement. Any recovery above that figure earned Feldman's firm an additional ten percent.